Give your kid knowledge of different shapes and colours in a fun way by using this lovely phone toy. 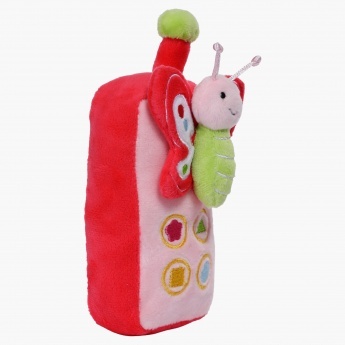 This phone has a butterfly figure attached on the toy to attract your little one. The soft touch is safe for your little one to hang around all day. The sound produced by this phone is sure to delight the kid's senses.